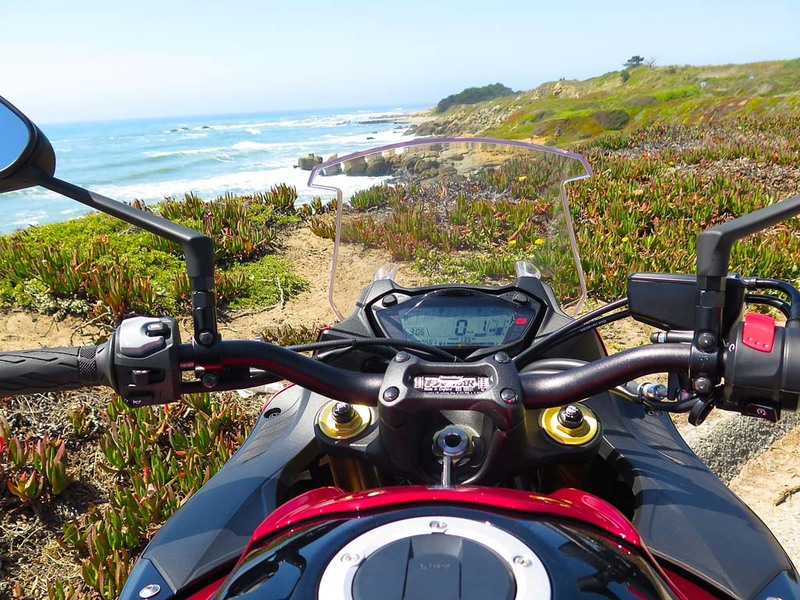 Suppose you wanted a nice new orthopedically correct naked bike, but you didn’t want all the latest fly-by-wire techno-gadgetry that accompanies the best of them along with the $15,000-plus price tag. Well, you’re still out of luck, really, because Suzuki’s all-new GSX-S1000 does use the traction-control system (first seen on its latest V-Strom 1000) to tame its mighty GSX-R1000 Four-cylinder. And ABS is a $500 option. Beyond those acknowledgments of modernity, though, you’re on your own. No electronic suspension, no auto-blip electric shifter, no auto-wheelie control to keep you from looping out. We real men don’t need that stuff anyway. What we do need in the modern era is a bike we don’t need Trump’s accountant to afford: How’s $9,999? 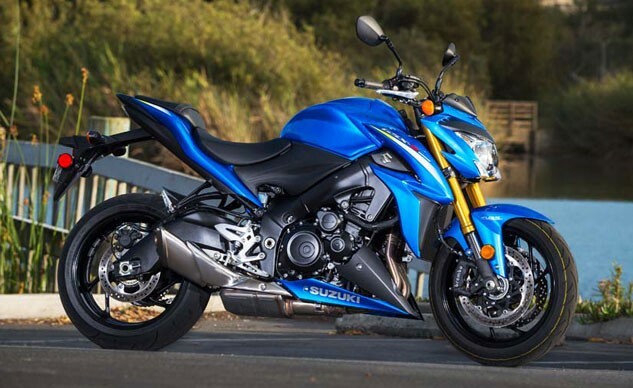 $10,499 for the ABS version is still $1500 less than a new Kawasaki Z1000 ABS – the bike that finished last in our 2014 Super Naked Street Brawl. 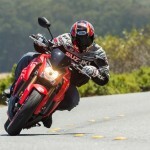 The bike that won it, the KTM Super Duke R, sells for about 70% more than the new Suzuki. Okay, the GSX-S1000 is no match for the Austrian defending champ, but it feels like it can more than hold its own against the Kawasaki. 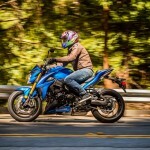 For one thing, Suzuki says the new 1000 weighs about 10 pounds less than the GSX-S750 we tested not long ago, and the official MO scales are within five pounds on that bike. 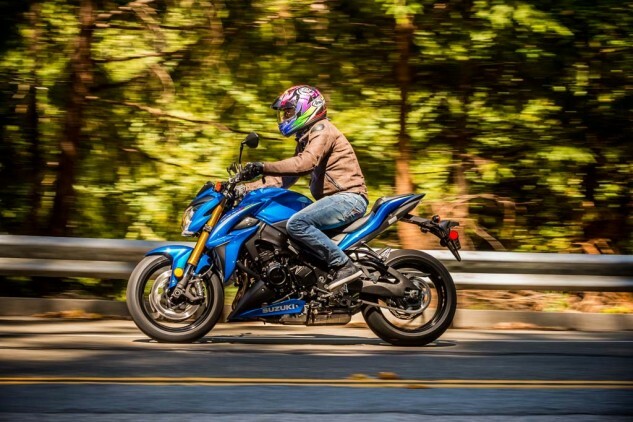 Suzuki says the GSX-S1000 ABS comes in at 461 lbs wet, which undercuts the Kawasaki by 27 lbs and puts the Suzuki right there with the premium-priced BMW S1000R and Ducati 1200 Monster. 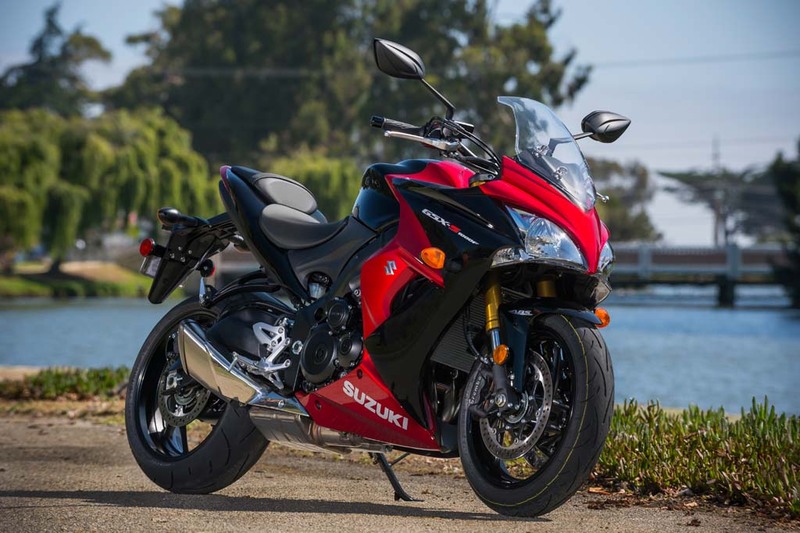 Suzuki notes it has been known for light, agile roadsters, and company reps say it’s time for Team S to get back to where it once belonged. 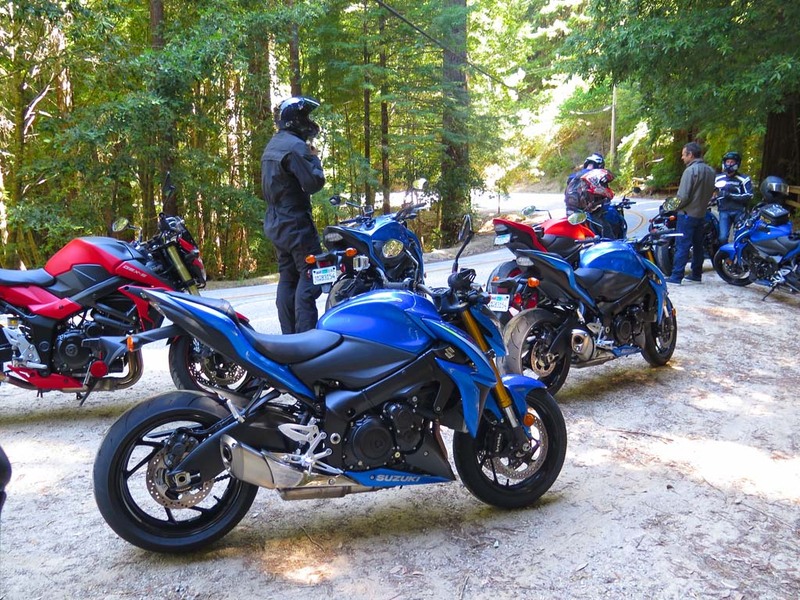 Market research told Suzuki that the discriminating, experienced, former sportbike-owning 40-plus year-olds who buy liter-class nakeds for weekend tooling-around rate light weight and agility above outright power and top speed. Too true. Enough really is enough on the street. Or is it? The road to Alice’s Restaurant is paved with good inventions. 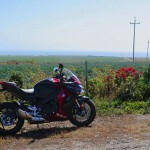 The red bike at left is Yoshimura’s GSX-S750 rolling test bed, and the red one up front is its GSX-S1000. 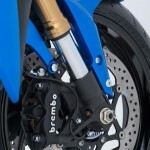 The stocker gets the same Metallic Triton Blue as the MotoGP bikes, the nicest paint I’ve ever seen on a Suzuki I think. Not that they didn’t give the GSX-S1000 a killer motor anyway, but the long-stroke 2005-2008 GSX-R engine in this bike has been defanged via milder camshafts and other tuning changes. Instead of screaming on to 185 (crank) horsepower at 11,500 rpm like the old K5 GSX-R, Suzuki says this one makes 145 horses at 10,000 rpm and 78.2 lb-ft of torque at 9500. It’s definitely fast enough for street use and definitely stout enough for hoiking wheelies out of every corner if you’re a good hoiker, but it doesn’t have the kind of top-end rush that makes your pupils dilate. It does have that sort of rare, if not-quite-raw, flavor and raspy snarl we’d almost forgotten about after spending so much time on all the modern fly-by-wire laser-beam sportbikes. What are those long things coming out of the right grip? Throttle cables(! ), and they go straight to the four butterfly valves in the GSX-S’s 44mm throttle bodies. This bike still uses Suzuki’s old SDTV system (Suzuki Dual Throttle Valve) to sedate power delivery a bit, which first appeared on the amazing new GSX-R750 of 1996. You don’t get the old GSX-R1000 slipper clutch or its titanium valves. 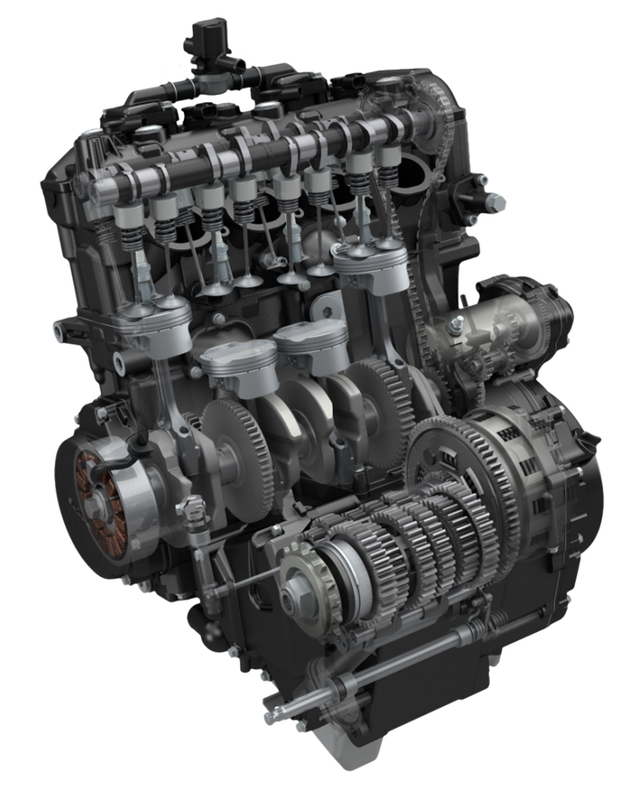 You do get 3%-lighter pistons and that classic angry/friendly snarl in a package crankshaft-rated at 145 horsepower, which will likely translate to near 130 horses at the wheel. 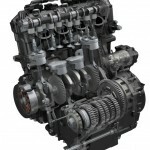 You’ll be expected to adjust the 30mm intake and 24mm exhaust valves every 14,500 miles. Alternator output is 385 watts, and heated grips and things are in the accessories catalog. You’re supposed to be able to sort through the three power modes on the fly with the toggle switch on the left side of the Renthal Fatbar, but I had to pull over to make my bike switch. 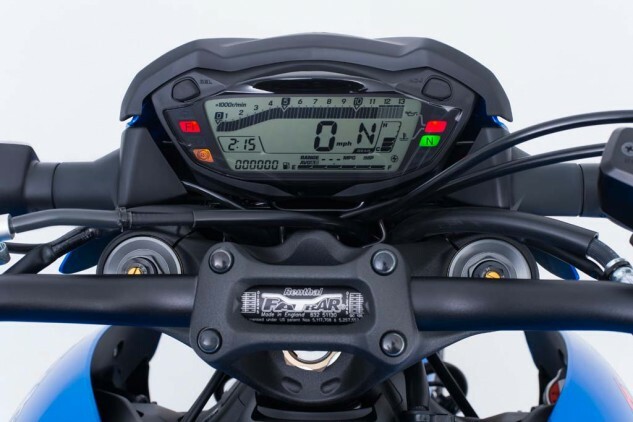 Mode 1 gives full juice, immediate throttle response and the least traction control. Mode 2 gives full juice with slightly tamer throttle response (which I liked best) and a bit more TC. 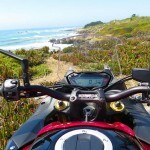 And Mode 3 is rain mode: If it’s anything like what’s on the new V-Strom 1000 (it is), you should be able to climb medium-steep rocky trails without spinning the back tire out from under yourself. Which is sometimes convenient. You can also switch the system off. The Bosch ABS, though, stays on at all times. 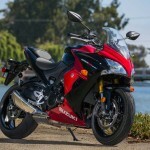 The bike’s frame is all-new, and a place where Suzuki says the 1000 lost 10 pounds compared to the 750. 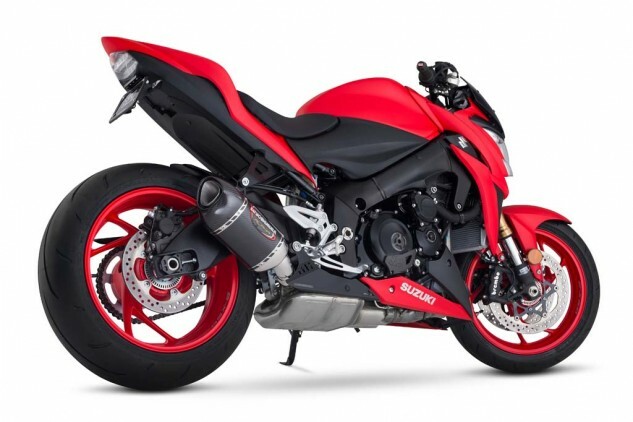 Using the latest computerized practical analysis technology let them build a main frame lighter than the GSX-R1000 frame; the arched swingarm is the same specification and size as the GSX-R1000 swingarm. Light weight and great ergos make light work of tight backroads. 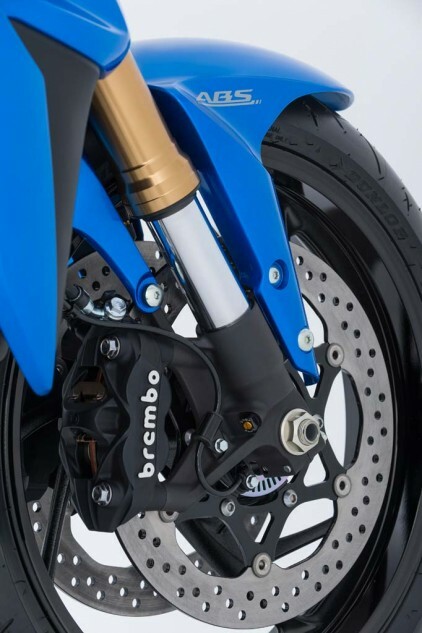 The 310mm front discs and Brembo calipers (straight off the GSX-R1000) provide massive-enough stopping power without being at all grabby when you first grab them. 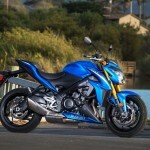 Suzuki says ABS only adds 1.4 lbs to the bike, and $500 to the bottom line. From the saddle, the new bike really does feel nice and light and controllable: The seat’s reasonably low at 31.9 inches, you sit up, hominid-like behind that nice handlebar on a thick-enough seat. Steering is light enough without being too light; 3.9 inches of trail via 25.0 degrees rake, and a 57.5-in. 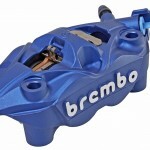 wheelbase, is right in there with the class contenders. 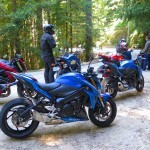 Besides light weight, the other part that’s expensive on motorcycles is quality suspension. KYB supposedly built all-new stuff for the GSX-S: a 43mm inverted fork with a “durable plated finish” which looks like chrome, and tapered outer tubes for optimal rigidity/compliance, anodized a light gold for that expensive look. The fork is three-way adjustable, with 4.7 inches travel. 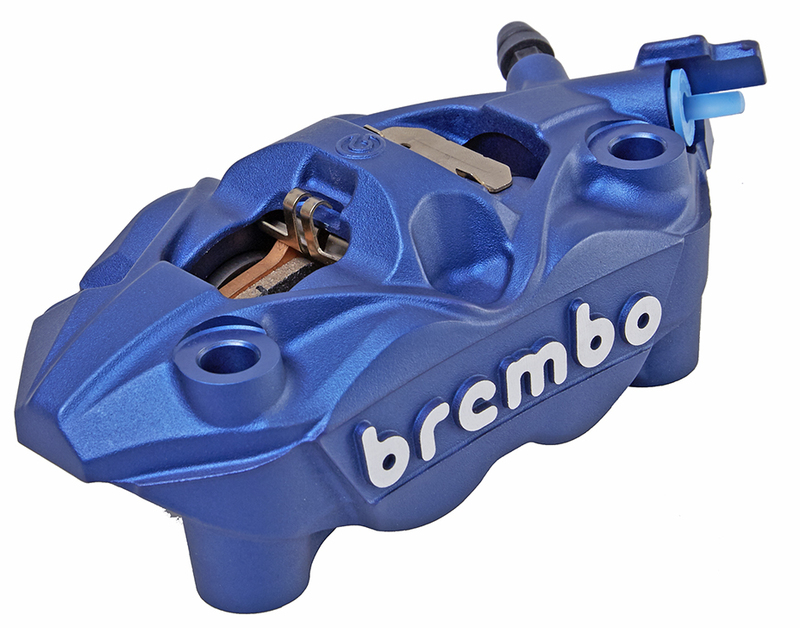 The single KYB shock out back works through its linkage to turn its 63mm stroke into 5.1 inches of wheel travel; it’s rebound adjustable, and has five preload settings and a wrench under the seat, but has no adjustments for compression damping. The backlighting is adjustable along with other things. 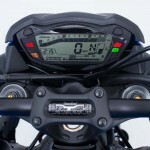 Ride mode is usually displayed where the temp gauge is in this pic. My bike usually claimed it was getting around 44 mpg. On smooth pavement, I totally concur with our man Jeff Ware, who already rode the bike in Europe, no complaints. Both ends hold up their end either hard on the gas or hard on the brakes. 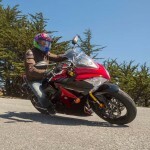 On choppy, bumpy, gnarly pavement, though, the GSX-S’s suspenders are no match for the stuff BMW and KTM put on the S1000R and Super Duke R. On those bikes, there almost isn’t any such thing as bad pavement. On the Suzuki, you’re a pavement inspector general. The fork jabs your upper body over bumps, then the harsher rear delivers the body blow, and serial big bumps can have things feeling out of sorts. 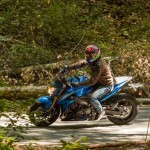 Another cost-reducing measure would be the absence of a steering damper on the GSX-S – a thing the BMW and KTM both use to good effect when making haste down gnarly backroads. If you’re young and tough, that sort of drama just makes you stronger. It just makes me slow down a little. I probably could’ve made things a little more compliant if there’d been time to play with the adjusters a little. 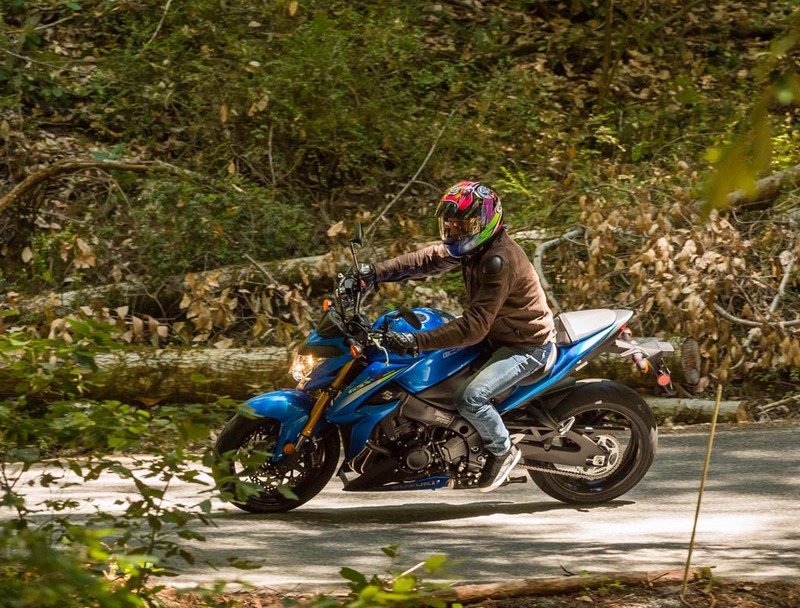 For normal riding around on reasonably smooth pavement, the GSX-S is tough to beat; the ergos are totally humane, and though you’re turning about 5500 rpm at 80 mph, the Fatbar and engine counter-balancer smother nearly all the big Four’s vibrations. For warm-weather riding, nothing beats a naked bike. 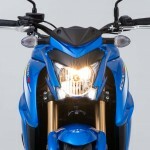 For cool-weather riding and for people who just like plastic, how nice of Suzuki to also offer up the GSX-S1000F. Speaking of accessories, how about some cool blue anodized brake calipers from the Suzuki catalog, which will go for about $400 each. Suzuki’s Tim Olson says American Suzuki insisted upon a faired version of the bike, and Suzuki responded with the GSX-S1000F, which it classifies as more “sports tourer” versus the S’s “sports roadster.” Luggage capacity, however, will be limited since no hard bags are in the works. The F version pokes a slightly bigger hole in the atmosphere. One cool new feature is Suzuki’s new Easy Start: Just jab the button and the 32-bit ECU spins the starter exactly the right amount to achieve ignition – never more than 1.5 seconds! Quite a change from my old GS550, which would crank until dead. A new “Open type” regulator/rectifier opens the stator output to control the charging level to the battery, using smaller components that produce less heat. Anyway, there you have it. 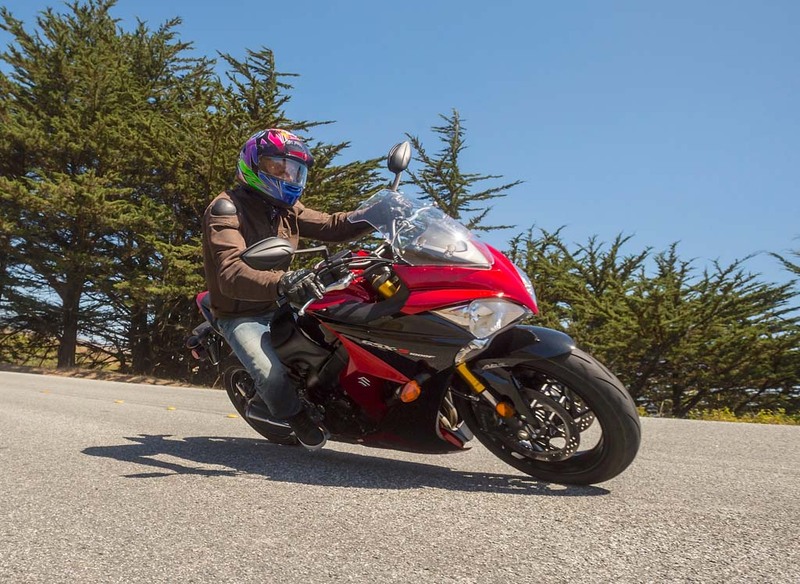 For $9,999 – way less expensive than the bikes Suzuki’s gunning for here, including the Triumph Speed Triple and Yamaha FZ1, the rare but very nice Honda CB1000R, the Z1000 Kawasaki – I give the S two thumbs way up. In its MotoGP-inspired paint, it’s one of the prettiest nakeds out there. It’s light and powerful, makes the right noises, runs super-smooth down the superslab, it’s cucumber-cool and comfortable. Will it rekindle the GSX-R flame in the hearts of the middle-aged American malefactors who embraced the original lightweight wonder 30 years ago? Fingers crossed. I hope so. 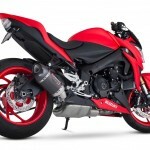 Get price quotes for Suzuki from local motorcycle dealers.